Are you in need of a San Bernardino Cemetery? You have come to the right place. Bayer Cemetery Brokers works with individuals and families who live in San Bernardino and need to secure a burial plot, cemetery plot, mausoleum, or cremation niche for themselves or a relative. 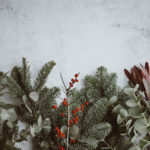 There are many funeral and burial services available and people are not often aware that they have choices in the matter. Bayer Cemetery Brokers is passionate about educating clients regarding the various funeral and burial options available. 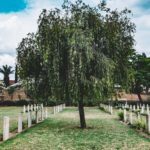 Finding a San Bernardino Cemetery that meets you or your families need can be very challenging, especially when you realized there are close to 30 cemeteries’s to choose from in San Bernardino. Luckily Bayer Cemetery Brokers has been helping individuals and families secure burial and cemetery plots throughout Southern California for over 30 years. We have relationships with several funeral homes, mortuaries, and cemetery’s in San Bernardino so we can always ensure that you are getting a fair price when shopping for a San Bernardino Cemetery plot. 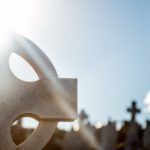 Not only is our network of funeral and mortuary providers very large, we often broker burial plot sales which means you will never have to try and negotiate directly with the cemetery or mortuary of your choice. We put you in contact directly with the person or family wishing to sell their burial plot, negotiate the entire transaction, and then provide you with all of the documentation necessary that proves you are now the rightful owner of the burial plot. Since we handle the entire process on our behalf, you never have to speak to anyone except one of our in-house brokers. Are you ready to have someone find the San Bernardino Cemetery plot you and your family need? Be sure to call our office and speak to one of our brokers.